Pro-Line Badlands MX SC Pre-Mounted Tires on Impulse Wheels « Big Squid RC – RC Car and Truck News, Reviews, Videos, and More! 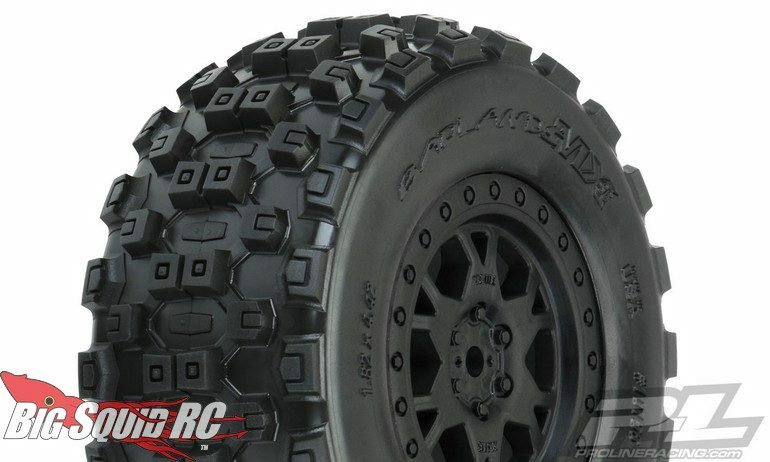 Recently announced by Pro-Line are Pre-Mounted Badlands MX SC Tires On Black Impulse Wheels. Pro-Line’s Badlands tires are considered by many (including us) as one of the best overall bashing tires that you can buy. Soon you will be able to get them conveniently pre-mounted on styling Pro-Line Impulse wheels to give you more time bashing, with less time wrenching. 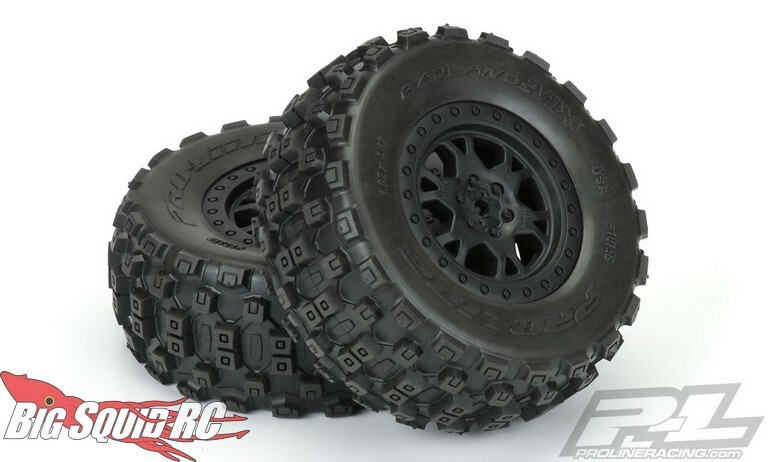 Pricing for a pair of the Pro-Line Badlands MX SC Pre-Mounted Tires is $38 and you can hit up This Link to read more P-L news on BigSquidRC.